In the distant mouse kingdom of Carminel, a terrible civil war has broken out. As the King's soldiers lie defeated on the battlefield of Barrowdown, it appears the fight for power between the noble King and the wily Cardinal is finally over. 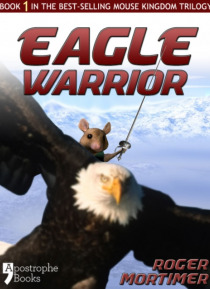 But where is Gideon, the Eagle Warrior, the most valiant mouse in the whole land, and the only hope for a return to peace in these terrifying times? The hunt … is on to find Gideon and set the Crown of Carminel on the rightful head. But will it be too late?